Over a year ago, I noticed that every morning I woke up, my body would be screaming in pain. My nights were restless and uncomfortable. 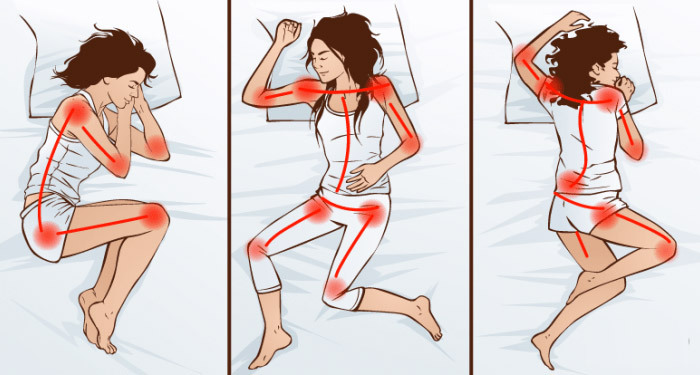 After much thought, I realized it was because of my mattress… it was not supportive enough and only making my joints ache worse! When choosing a mattress for our bedroom, we often overlook certain factors that can affect our overall sleep. After some research, I found out that according to body type and sleeping position, a spring mattress was not a viable choice. I usually sleep on my sides and this firm spring surface only subjected my body to unnecessary pressure. Instead, I should have opted for a medium firm memory foam mattress. Does this situation sound familiar? Happens to the best of us! In this article, we aim to cover the 12 major differences between spring and memory foam mattresses. But we won't bore you with the mattress details that a mattress salesman drones about. We want to make the selection between foam and spring easier for you, based on features you can directly relate to easily. But first, let's explore the connection between your mattress choice and quality of sleep - is changing your mattress worth it? 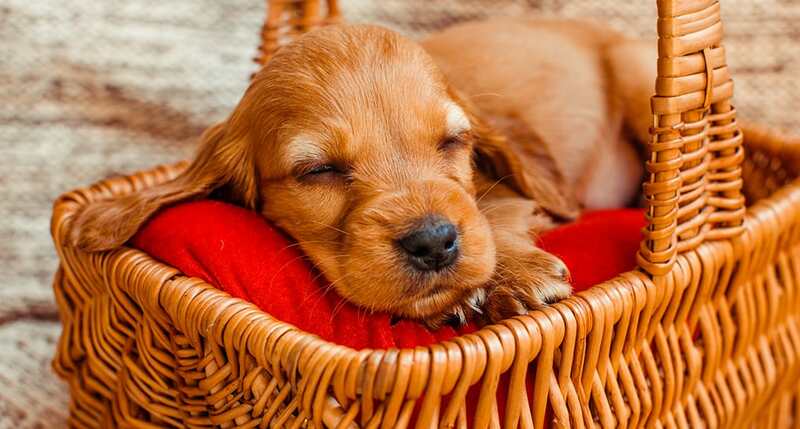 We spend about one-third of our lives sleeping - and trust me, it is crucial! A good night's sleep is all you need to take on the world. Getting a comfy and cozy mattress for yourself will definitely help you achieve that necessary eight-hours-of-sleep goal. If you have any doubts, here are some researches to back up this claim. A poll by the National Sleep Foundation in 2011 established this very point. It was discovered that a majority of the American population, about 92%, considered their bedroom environment pivotal to getting a restful sleep. Here is another research conducted in 2002, about the effects of a mattress on your sleep quality. The experts discovered that if you sleep on a comfortable mattress, perfectly supporting your body type, you enjoy a rejuvenating and relaxing night. If you ignore the mattress comfort, it can actually lead to the development of sleep problems. In short, definitely, changing your mattress will enhance your overall sleep quality. You might experience restful nights once again and wake up totally refreshed and rejuvenated every morning! When you are searching for a mattress, the variety out there is overwhelming! With more than a hundred options in the market, which sleep surface would give you the relaxing sleep you deserve? Two of the most important mattress categories you often come across are Foam and Spring. Each offers a unique set of features and a distinct design for a restful sleep. Spring mattress is the oldest type of mattress - that is, if you don't count hay beds! As the name suggests, they are made out of springs or coils embedded inside a layered cushion structure. Sleeping on the sufficiently supportive cushioning surface of spring ensures you'll wake up without any muscle cramps. It is generally durable, affordable, cool, and supportive. 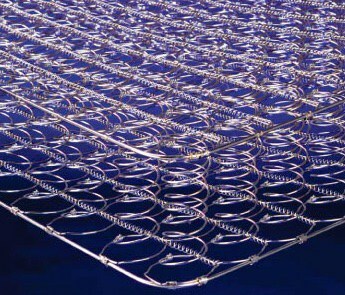 Innerspring mattress contains a box of springs that are arranged in a mesh. The coils are connected to each other with metal strands, which makes the innerspring mattress strong and durable. 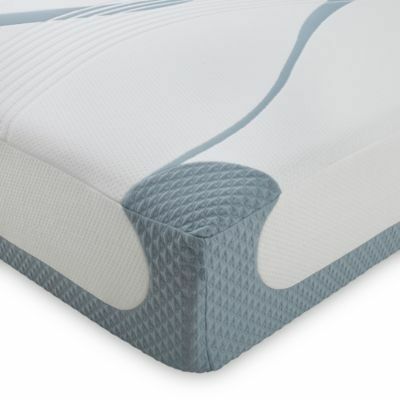 Additional foam encasing makes the innerspring mattresses comfy. Moreover, the coil design providing firm support may also allow motion isolation. 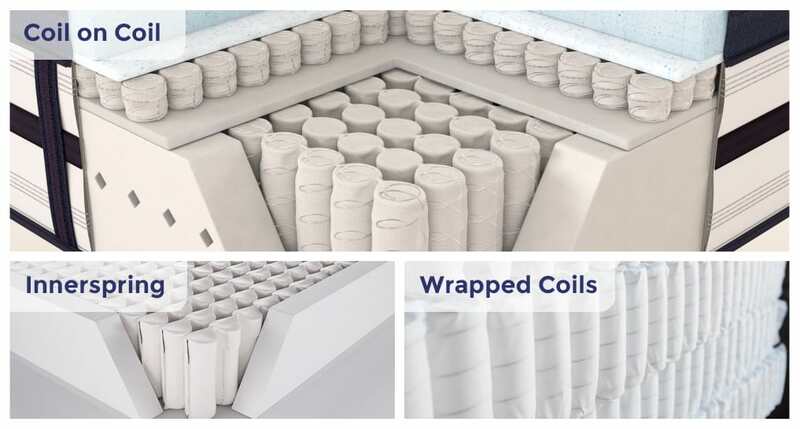 The springs in the pocketed or individualized coil spring mattress are individually enclosed in cloth and separated from one another. This construction allows freedom of movement and body contouring. As the name suggests, coil-on-coil spring mattress has two or more layers of coils stacked on top of each other. This design minimizes bounciness, and improves comfort and support. The foam mattresses are usually constructed using synthetic materials. In order to enhance the overall sleep experience, many foam mattress manufacturers incorporate additional materials to the product, such as gel or latex. These type of mattresses are durable, comfortable, and preferred by majority of sleepers. Foam mattresses are further divided into four main types, based on the material differences in their composition. 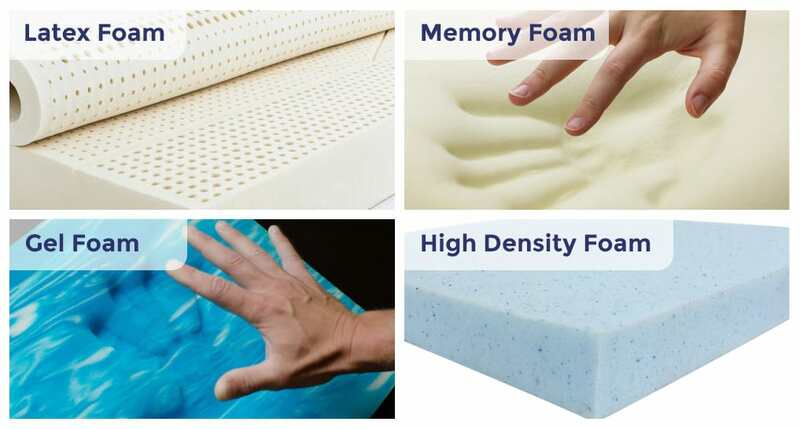 A latex foam mattress comes in natural, synthetic or blended varieties of rubber. It offers more bounce, better elasticity, increased air circulation and back support. Additionally, the latex foam mattresses are hypoallergenic, free of toxic compounds. A memory foam mattress has visco-elastic properties. Providing cradling comfort, deep support, and reducing pressure points, this mattress is known to retain heat and has incredible durability. A gel foam is a moulded and highly flexible material. It allows better air circulation and extra support, and enables you to sleep cool too! Made of a compact foam with open cells, a high-density all-foam mattress provides comfort, longevity, and resilience. Casper Co-founder, Mr. Kim says that people don't usually care about perfect spinal alignment or cooling capability while purchasing a mattress - sleepers only care about an excellent night's rest! Frankly, I couldn't agree more. However, a number of features in both spring and foam lead to the overall comfort you desire in your mattress. In order to make more informed choices to help you decide the perfect surface, we will offer a detailed comparison between the spring and foam mattresses. All essential features that are important to consider will be included in the following section. 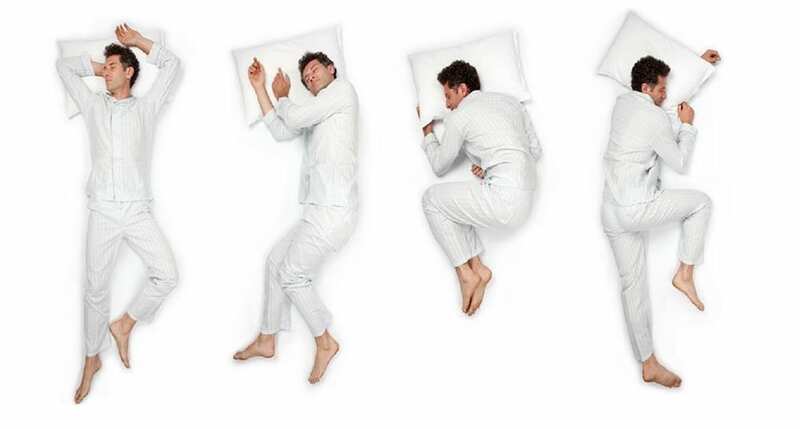 There are three main sleep positions - side, back, and front. Both Spring and Foam mattresses support these positions differently, based on their construction and types of materials. A spring mattress may be a viable choice for back sleepers, as it provides necessary support needed to keep the spine aligned. It helps relieve pressure points and also prevents back pain. For a front (stomach) sleeper, this mattress may also be a suitable option, as the firm resilient structure prevents further extension of the already stressed-out spine. A foam mattress may be best suited for side sleepers. Along with the enhanced pressure relief, it is further known to provide deep support to the body, especially the spine. The perfect contouring features, especially the visco-elasticity of memory foam, work best for the body curves. Due to these features, the mattress may support back sleepers as well. For stomach sleepers, it is better to keep foam mattress as the last option, as it may cause breathing issues due to sink-in feel. Depending on your body type or weight, the choice between spring and foam mattresses differs. Some mattresses suit lightweight people while other designs support heavyweight sleepers. If you have a bulky figure, a spring mattress would be a great choice. This type efficiently supports a massive figure without sagging under pressure. It is also acceptable for those having a medium build. Since they require comparatively less support from the sleep surface, the only factor driving their decision would be the desired comfort level. Anyone with a small build may be better adjusted to a foam mattress, as they require even less support. 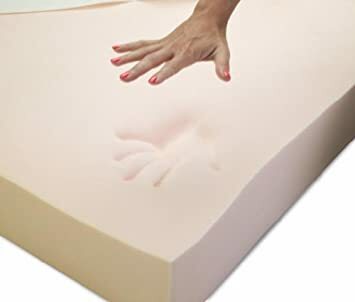 The foam mattress has a sinking feeling, that would not bother you if you have a skinny figure. A regular weight person may also choose a foam mattress. The body would not sink-in uncomfortably and you can enjoy a restful night. The spring and foam mattresses differ in construction, which ultimately affects the mattress firmness and comfort levels. If you are ever unsure about which comfort level to choose, it is better to opt for medium firm, you can never go wrong with it! Spring mattresses are firmer than foam, due to the springs acting as shock absorbers. The spring mattresses do not rely on body contouring for comfort as much as foam mattresses. Spring surfaces come in several levels. Ideally, people go for medium-firm as it provides the appropriate blend of soft and firm. A foam mattress is a tad softer than a spring mattress. Due to its efficient contouring abilities, it ranges in comfort levels from soft to hard. The comfort levels available for the foam mattresses are more as compared to the spring mattress, because of the increased relief capabilities of the former category. Effective body weight distribution is crucial for a pressure-relieving sleep. But not all mattresses offer this feature, to every curve and sensitive joint of your body. Thus, it is important to determine the degree of pressure relief offered by the mattress you are about to select. A spring mattress employs coils to push back against the body pressure. These coils are ineffective in providing additional support where needed. This leads to an unequal distribution of body weight by the mattress, which may lead to little or no pressure relief. So, if you suffer from orthopedic pain, you might not appreciate this resistance. 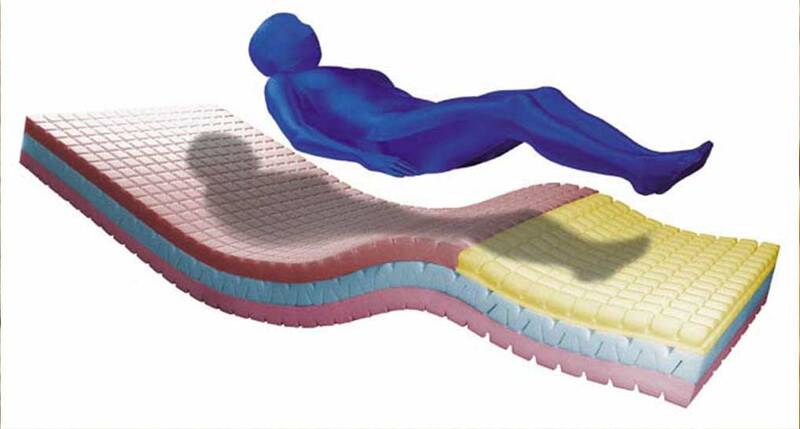 A foam mattress equally distributes the body weight. This ability results from the advanced construction of the mattress. By conforming to the curves of your body, it relieves pressure points and joints ache. Ideally, anyone with orthopedic inflammation or severe back pain can go for a foam mattress without a second thought! Temperature sensitivity is a special feature that accounts for a major difference between spring and foam mattresses. If you often have sweaty nights, this might be useful for you. A spring mattress is independent of the temperature of the sleeper's body and their surroundings. This means, the performance of spring mattress does not change with the varying temperature, unless the surface is topped with a layer of foam. This property allows the mattress to remain neutral at all temperatures. A foam mattress, especially memory foam mattress, is known to have heat retention property. It generally hardens at cooler, and soften at hotter temperatures, although it is not always the case. Most of the times, the foam senses and adjusts to the temperature of the sleeper. Thus, foam mattress enables you to sleep more comfortably if there is a proper temperature regulating mechanism. Many brands incorporate a gel, latex, perforated or open-cell layer to deal with the heating issue. Sweating due to heat retention by the mattress may disrupt a peaceful sleep. For the maintenance of an optimal sleeping temperature, proper ventilation of the sleep surface is essential. Many mattresses have a special process for moisture wicking! The coil based structure of a spring mattress allows for ample ventilation. This flow of air makes your mattress surface cool to sleep on. Spring mattresses that are topped with layers of foam and fiber for added comfort, however, may cause heat issues. Foam mattresses are often inadequately ventilated. The petroleum-based materials in their construction absorb and reflect heat. Thus, you usually sleep hot on such surfaces and can be prone to restless nights. However, this is not the case with gel or gel-infused memory foams, with their design promoting air circulation. So, always check your options and priorities before settling on a foam mattress! Smell is another parameter to be considered when choosing between spring and foam mattresses. If you can't bear strong smells, we suggest to stay away from foam mattresses. Spring mattresses are made out of natural materials. Therefore, they do not give off a chemical odour that many synthetic materials do. This property has satisfied many customers with spring mattresses as compared to foam mattresses. Foam mattresses, especially those with synthetic elements, tend to smell. It is actually a large group of chemicals released as an off-gas into the air. Though unpleasant, the chemical odour of a new foam mattress usually fades and disappears within a day or two of unboxing. You can keep the mattress in an open environment to get rid of the smell quickly. If you suffer from back pain, caused by an injury, occupational strain, the daily stresses of sleeping on a hard uneven surface, or a combination of the above, then this is for you. Your mattress plays an integral role in relieving back pain. Despite popular belief, spring mattress may not be the best choice for people suffering from back pain. 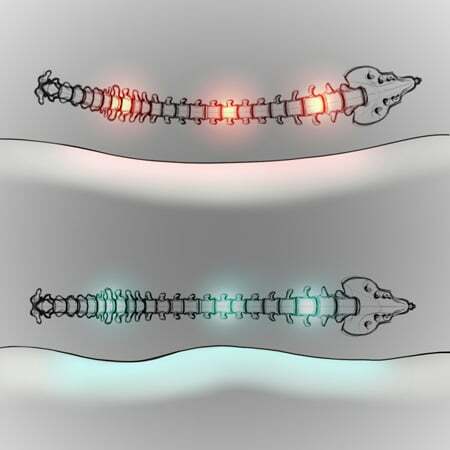 Pressure from the coils and the uneven body support may enhance the pain instead of relieving it. Without proper cushioning layers of foam, a spring mattress does not give proper contouring of body curves. As a result, the stress on pressure points increases, affecting the spinal alignment. A foam mattress may provide an efficient solution to your back problems. 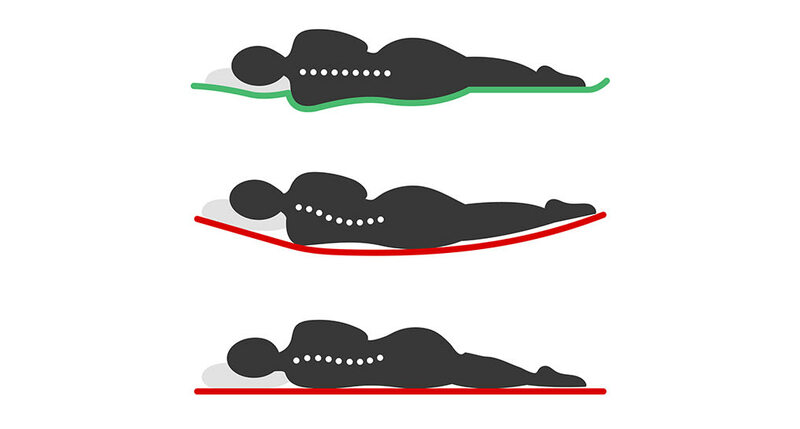 Owing to their unique construction, foam mattresses absorb shock, relieve pressure, and evenly support the body. Your joints are cradled properly, regardless of the comfort level choice and the spinal alignment is maintained properly. Motion isolation is an integral factor, especially if you sleep with a partner, have children or are a pet owner. Good motion isolation properties in a mattress lead to undisturbed sleep. 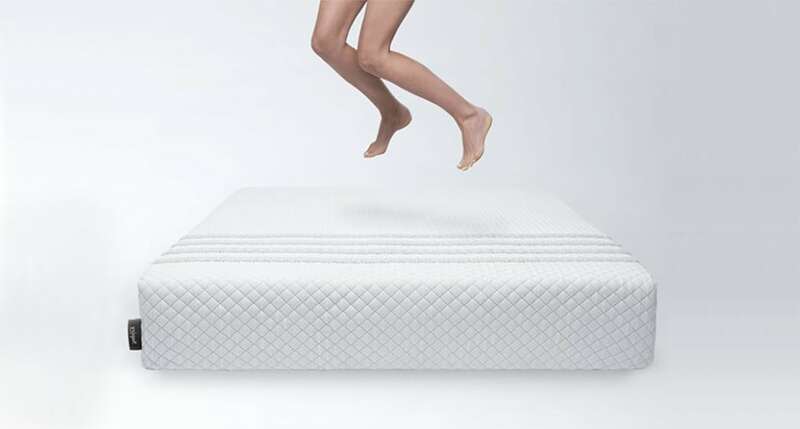 Some spring coil mattresses create bounce due to movement, offering little to no motion isolation. If you own a mattress with pocketed or individualized coils, then you may get uninterrupted sleep, as their motion transfer property is negligible. Anyone who changes their sleep position frequently at night, may benefit from a spring mattress. Foam mattresses overall, have considerably less motion transfer ability than spring, as it has an energy absorbing construction. Thus, if you sleep with a partner or have a pet, then this type of mattress will serve you well. Durability of a mattress determines the amount of pressure it can bear, affecting the lifespan of a mattress. Due to the varying construction, spring and foam bedding differ significantly in the longevity arena. The coil system in a spring mattress is designed to withstand stress and the metal coils can last for long. However, a spring mattress may sag over time, which reduces the lifespan of the mattress. The mattress may have to be replaced every 3-10 years, depending on the quality of the coil support. Additionally, it is also important to use a box spring foundation with spring mattress, as it is generally compatible with its structure. This may increase the longevity of your mattress. Foam mattresses are generally durable and long-lasting. 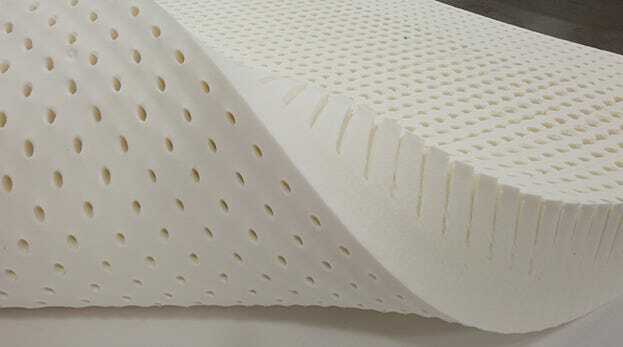 Due to regular use, a foam mattress resilience may decrease, but it is still considerably more strong than a spring mattress, prone to rapid sagging. If proper care is taken, your foam mattress can last for more than 10 years at times! Using a mattress protector can further increase the life of your purchase. Proper maintenance tricks can help you increase the lifetime of your mattress. Numerous brands offer cleaning tips as well. If you belong to the side-sleeper group, a majority of americans like you, follow certain steps to clean their mattress. Spring mattresses should be rotated every six weeks, and flipped every three months to prevent sagging. Folding or bending a spring mattress can damage the springs. These types of mattresses are prone to rapid wear and tear if care is not taken. A foam mattress also needs to be rotated and flipped according to the brand's instructions periodically. However, foam mattresses often succumb to distortion if you are too hard on the mattress - for example jumping, use of chemicals and liquids etc can lead to maintenance issues. Considering the affordability is crucial when you are involved in a mattress-purchase process. Both spring and foam mattresses vary in terms of costs. However, if you avail the free delivery option offered by various bed-in-a-box brands, you can purchase a great mattress for less than 1000 bucks! If you are on a tight budget, going for an innerspring may be the best mattress option. Based on an old design and made out of natural materials, spring mattresses generally cost less. A few advancements or addition of synthetic materials in the construction of the mattress, however, may lead to a higher price range. Sporting NASA backed technology and made from synthetic components, foam mattresses are sometimes a bit expensive as compared to spring mattresses. Although, you can sometimes get elegant and simple design mattresses for a reasonable cost. But even with the high prices, many people prefer the foam mattresses due to its wide range of health benefits. With the 12 major differences between spring and foam mattresses carefully laid out for you, I hope this article guides you in making the perfect sleep bedding choices for a more healthy life!